Dr. Buck Drummond is a graduate of Alexandria’s Fort Hunt High School and attended the University of Georgia for both his undergraduate and veterinary education. He spent the next 20 years in the Los Angeles area specializing in emergency care, ultimately becoming the director of emergency services for a large 24-hour practice. In 2007, he traded the hustle and bustle of LA for the charm of Savannah, joining a small daytime practice which afforded him time to pursue his avocation, painting and get reacquainted with his cello. His first solo art show entitled “Going Against the Grain: Color on Wood” received critical acclaim in Savannah’s burgeoning art community. The desire to be closer to family (Dr. Drummond is the youngest of 8 children) brought him back to Northern VA in 2011. 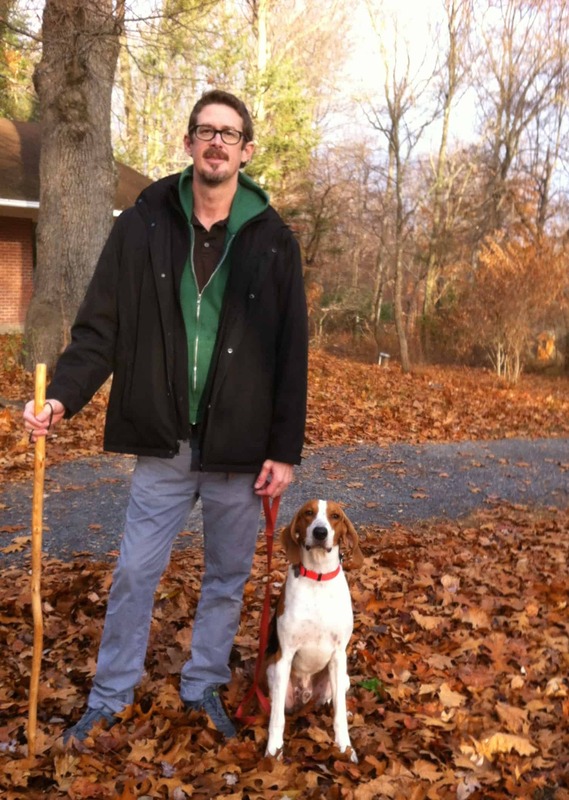 He, his husband Michael and their American Foxhound Toby shuttle between their Foggy Bottom condo and their home in the Shenandoah near Paris, VA.